Jesus asks us on what sort of a foundation are we building our lives? Are we conforming to the ways of God or the ways of the world? Back in 2002 the “Leaning Tower of Pisa” was finally reopened to the public, after having been closed for almost 12 years. During that time, engineers completed a 30 million pound renovation project designed to stabilise the tower. They removed tonnes of earth, and reduced its famous lean by over a metre. Why was this necessary? Because the tower has been tilting further and further away from vertical for hundreds of years, to the point that the top of the 56 metre tall tower was 5 metres further south than the bottom, and Italian authorities were concerned that if nothing was done, it would soon collapse. What was the problem? Bad design? Poor workmanship? An inferior grade of marble? No. The problem was what was underneath. The sandy soil on which the city of Pisa was built was just not stable enough to support a monument of this size. The tower had no firm foundation. Let’s look at this short story that Jesus tells. There are only 2 builders, only 2 choices in terms of the way to life - we are either following the way of Christ or we’re not and only one leads to full and abundant life. Are we conforming our lives to the expectations of others or our culture or what an advert tells we should think, or to the way of life in Jesus? This isn’t Liberal thinking man’s Jesus. This isn't fluffy Jesus. This is Jesus keeping it simple. But we want to make it complicated, to include everyone. 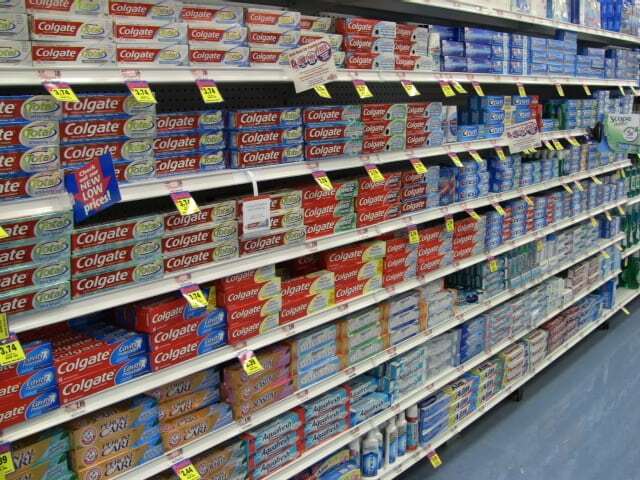 Perhaps that’s because we live in a world of ever increasing choice - whether that’s toothpaste (do you want whitening, gum protection, breath freshening or a combination of all of those across 10 different brands), deodorant (24 hour, 48 or 72 hour protection, no white marks, sport, stress control (yes really)) or what. We approach the ultimate questions of life like that, and so we shop around: well I like what Christianity says about this, and what Hinduism says about that, and what Paganism or Wicca say about the other so I’ll have it all thanks. In the story, Jesus gives us only two choices - are we conforming our lives to the ways of God or to the ways of the world? The story of the wise and foolish builders gets to the heart of Jesus’ message. To be his follower means that the manner with which we live out our daily lives must naturally reflect our following. What we believe in our hearts must be expressed by what we do with our hands, what we speak with our lips, what we do with our money and so on. Put more simply - if we’re following Jesus, are we going to walk the talk? The builders Jesus talks of, we can assume, used the same materials to build their houses, they will have taken similar amounts of time to plan, to cut wood, to make or buy bricks and so on. The houses may have even looked the same. The key difference was what was underneath - the stuff you couldn’t see. The thing is, both houses could have stood secure for weeks, months, maybe even years. But when disaster struck only one stood. For me friends, the way of Jesus isn’t just teaching; I’m not following Jesus for some sort of heavenly reward; for me - I’ve found it to be a better way to live out my life. And what of you? So when disaster strikes and someone disses you to others, or when they push in front of you in the queue, or when they cut you up at the lights, when or they steal something that is yours what are you going to do? Bite back and come crashing down to their level? Or forgive and love - not because it’s easy coz it’s not, it’s hard - but because it’s Jesus’ way and living that way doesn’t much happen in church in my experience but it does happen a lot on the road, or at work, or at college. Are you going to conform your life to the ways of God or the ways of the world? Are you going to walk the talk?